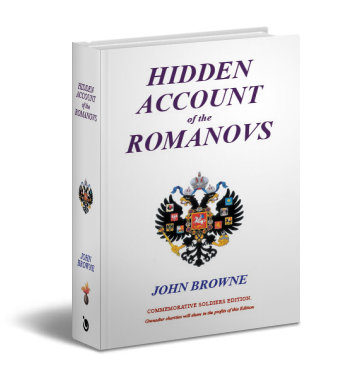 PALM BEACH, Fla. – John Browne releases his novel, “Hidden Account of the Romanovs”—set in WWI and the Russian Civil War. Preparing for President Putin’s State Visit in 2003, The Bank of England is instructed to close any remaining Russian Imperial accounts. The Bank’s investigation follows a Grenadier officer’s career. Against a background of Imperial elegance, the story encompasses two of history’s greatest mysteries, the murder of the Russian Imperial Family and the Ml6-led plot to kill Rasputin.